Divya Khosla is an attractive woman who made her debut as an actress in the 2004 release Ab Tumhare Hawale Watan Saathiyon. 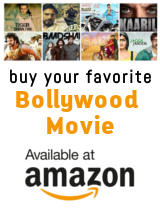 The movie starred well established actors like Amitabh Bachchan, Bobby Deol, and Akshay Kumar. The same year she acted in a Telugu movie, Love Today (2004). She gave up acting when she married the T Series owner Bhushan Kumar whom she met during the shooting of Ab Tumhare Hawale Watan Saathiyon. Khosla is now actively involved in the company and wants to take up directing movies.